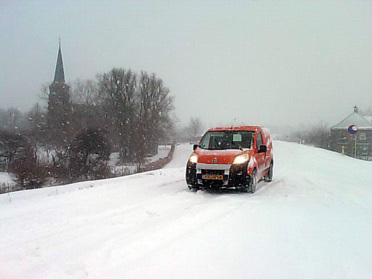 Welcome to the site of NIJMEGENKOERIER.NL a professional courier company operating from Nijmegen region, and Wijchen Beuningen and the rest of Gelderland. We specialize in domestic and international speedcargo and special emergency services.The correct transmission of your goods is our main goal. We have the propert insurancies in terms of logistics and liability (for the carriage of goods by third parties). Furthermore, our vehicles are professionally maintained. They are also checked back into a payload of 500 kg. We do not transport ADR (hazardous materials) and any shipments of more than 500 kg. Fast transport in the Netherlands carried out under AVK, international deliveries under CMR. For distribution we use the AVC. VAR statements are available and a VOG-request (declaration of behavior) is for us no problem. We offer the following services: Direct, Sameday, Nextday,ThisWeek. Our competitive rates start from 38 cents per kilometer.For more economy rates we can also deliver your parcels & freight through mediation or a parcelservices such as TNT, UPS or FedEx. The more parcels you will send this way with us, the higher the discount will be!